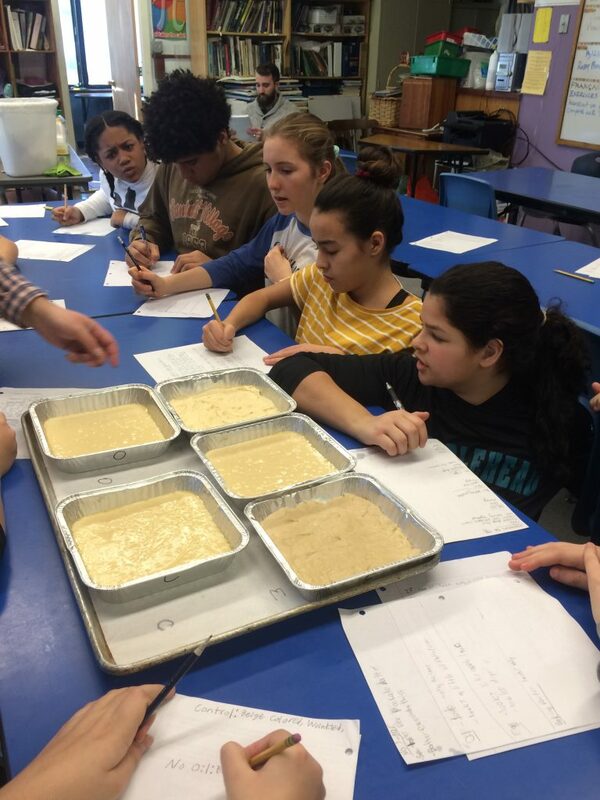 As part of their study of chemistry, students baked cakes, leaving out key ingredients to observe the effect on the final product. There was the control cake and four others that omitted either baking powder, egg, oil, or sugar. 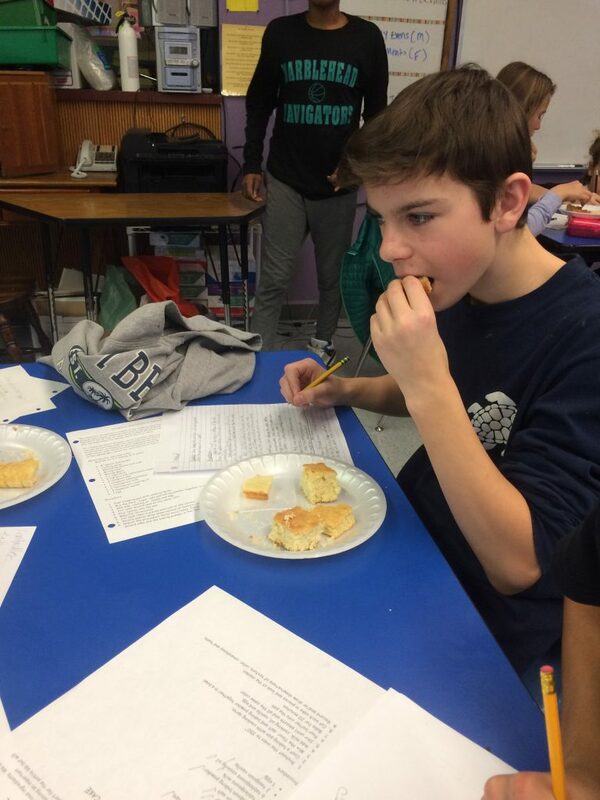 Students observed differences in texture, density, height, color, moistness, and, of course, taste. The class favorite was the one without the egg. 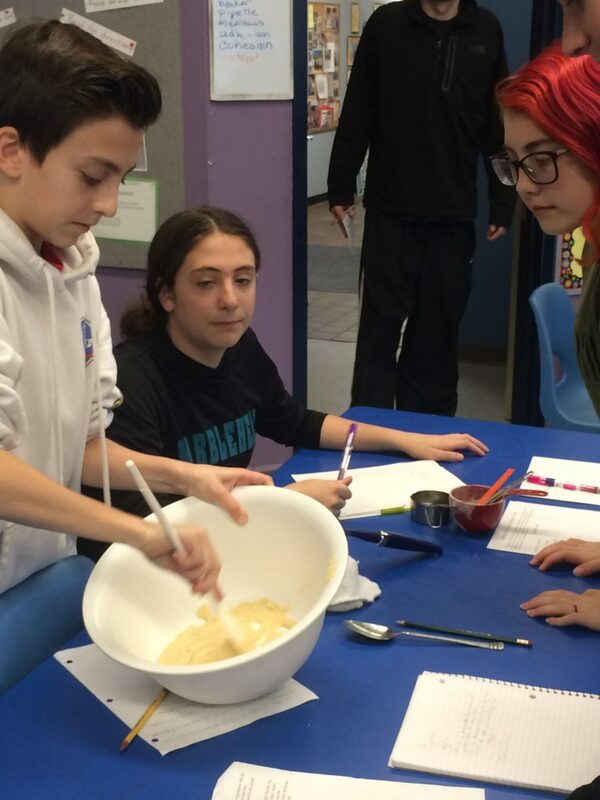 Even though very crumbly, students thought it tasted the best.